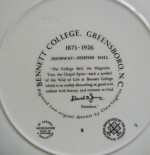 Clare Leighton: Wedgwood plate issued for Bennett College. 1952. 27cms diameter. Slight discolouration round edges. 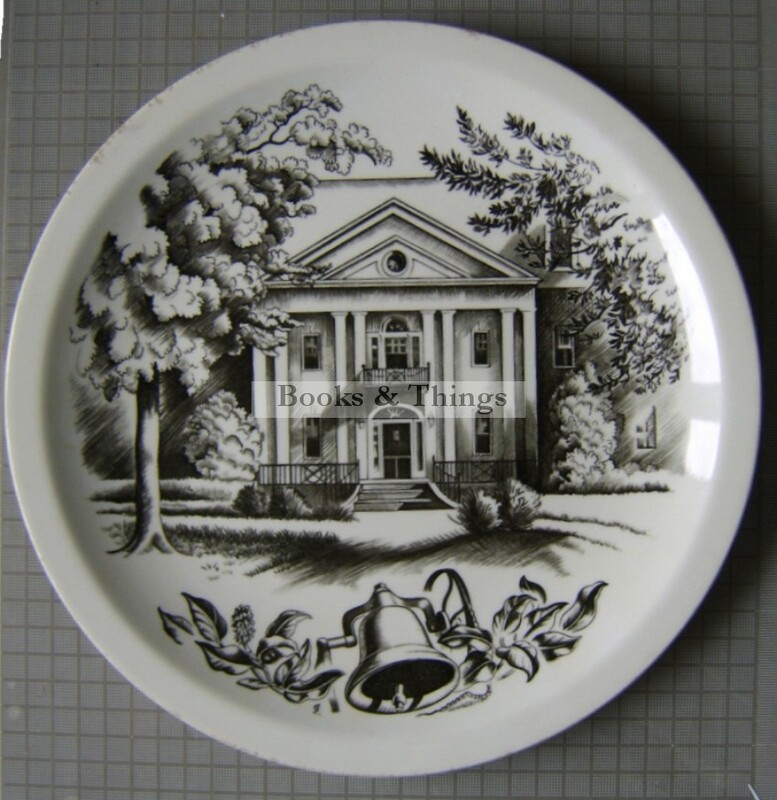 Category: Designer Ceramics. 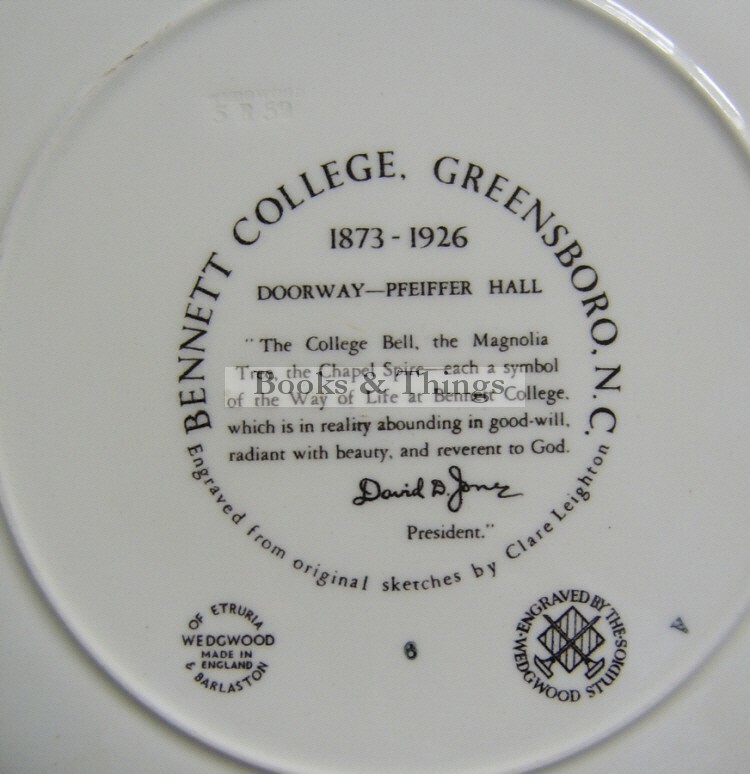 Tags: Bennett college, Clare leighton ceramics, Wedgwood.